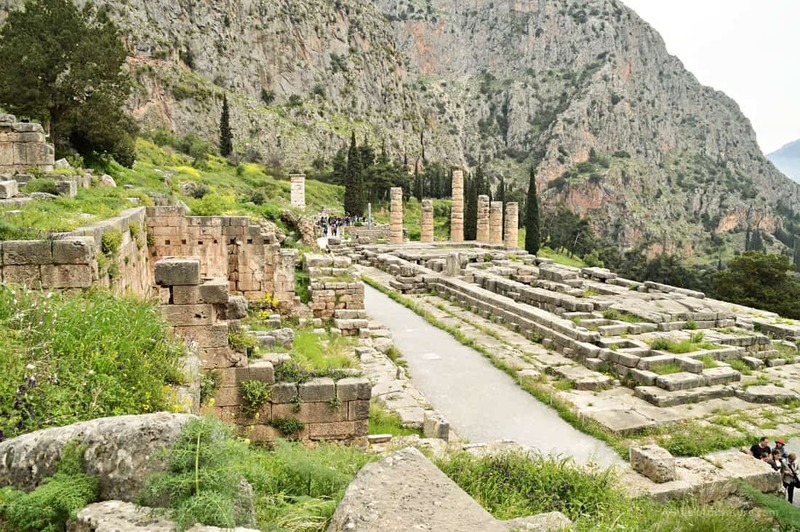 Read about our Delphi Tour experience in Greece. 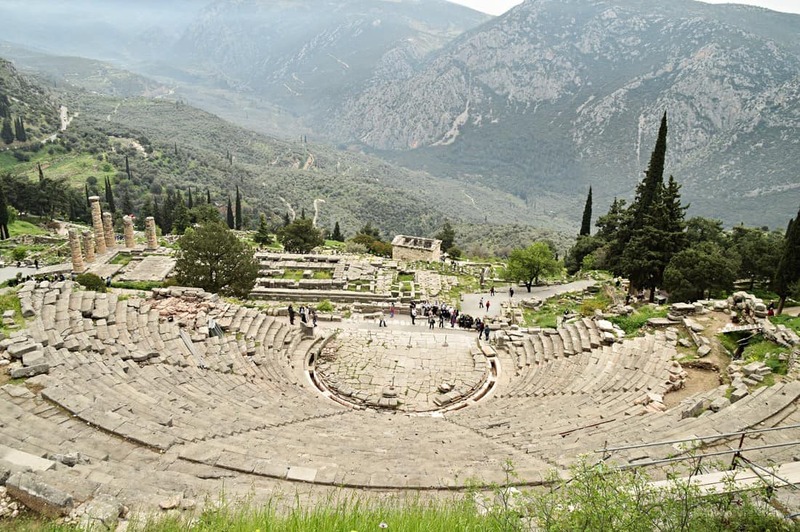 Delphi Greece is one of the most discussed places in the world. It remains one of the most visited places in Greece. Travelers flock in Delphi, even if they are for days in Athens. 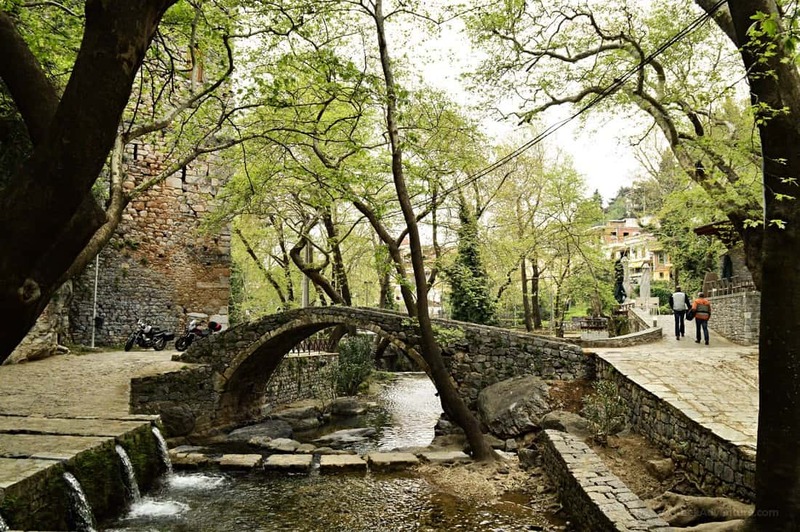 Along with Meteora are the most visited locations in Central Greece. We went to Delphi and Galaxidi, but before that we made a quick stop in Livadeia city, just to stretch our legs. If you don’t know this place then do pay a visit. 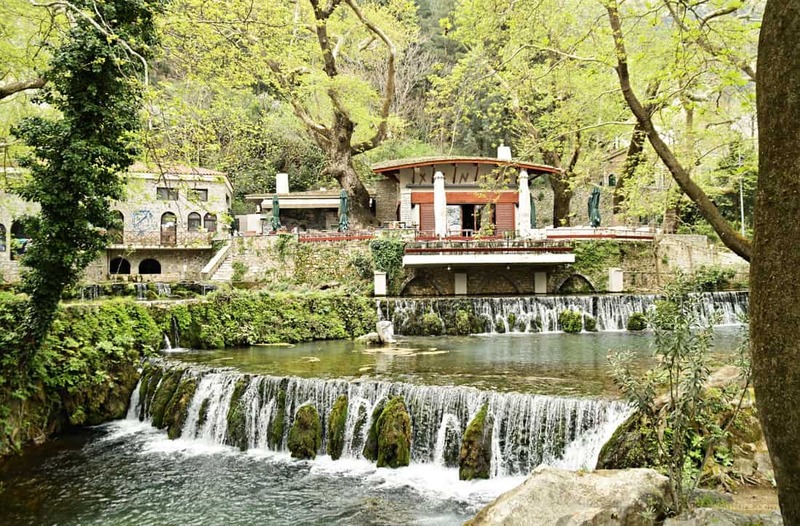 Get yourself in the Krya (means cold) area inside Livadeia. It looks like this. Many stop there for a coffee. It is cool even in mid summer time, as it is shady and with lots of waterfalls. The name origins from the Greek word “delphus”, which means “womb”. Delphi was also considered the Navel of Earth. Allegedly this was the meeting point of the 2 eagles Zeus released. There is a sculpture made from stone that is called as such. However, the town is related to Apollo. This places is allegedly a battle location between Apollo and a goddess serpent called Python, which Apollo defeated. If you dig this a bit more you will find many more extensions related to Apollo and Delphi. 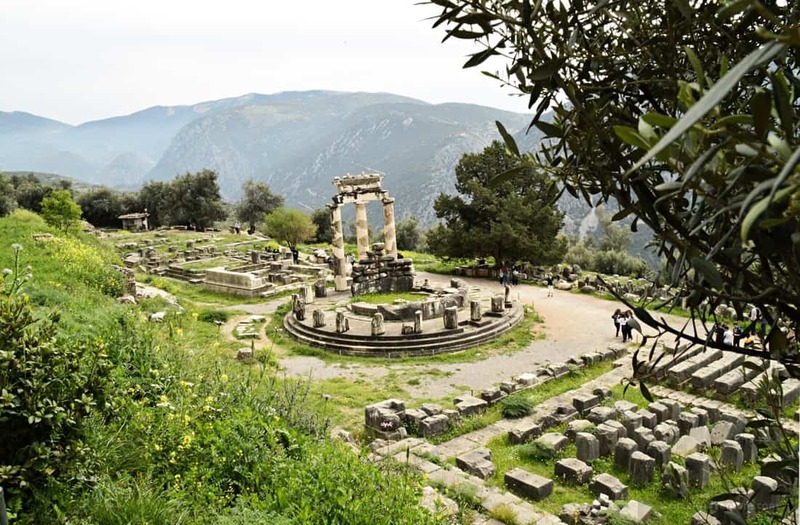 Along with ancient god Apollo, Delphi is widely known for the Oracle of Delphi legend. In antiquity every single important event had to have the consultation from the Oracle in order to be performed. Scriptures say that Pythea, the Oracle of Delphi, was sitting on a tripod, under which fumes were rising while she was chewing bay leaves. She was famous for giving double meaning oracles. The oracles could be translated in 2 ways depending on where in the phrase you would place the punctuation mark of “,”. This was very important in Ancient Greek. For example an oracle saying “You will go return won’t die in the war”, could be interpreted both as “you will go to the war and return and not die”, but also as: you will not return from the war, you will die”. Really tricky. The location where the ancient site is situated does not consist of just one temple. Instead, there is the main temple, smaller ones around it, plus a stadium. 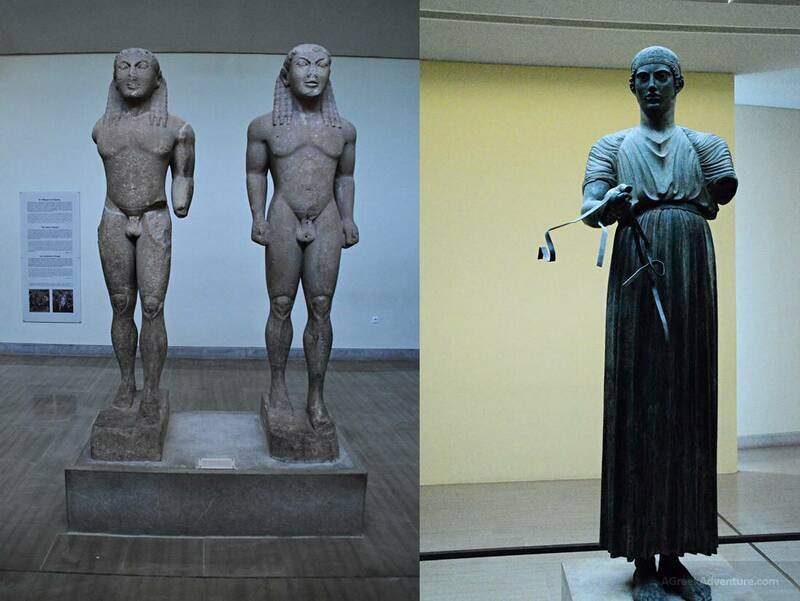 The famous “Know Thyself” was inscribed in the forecourt of the Temple of Apollo at Delphi. There are bronze columns and smaller treasury buildings. Many of them were offered to the gods, hosting war spoils and tributes from battles. 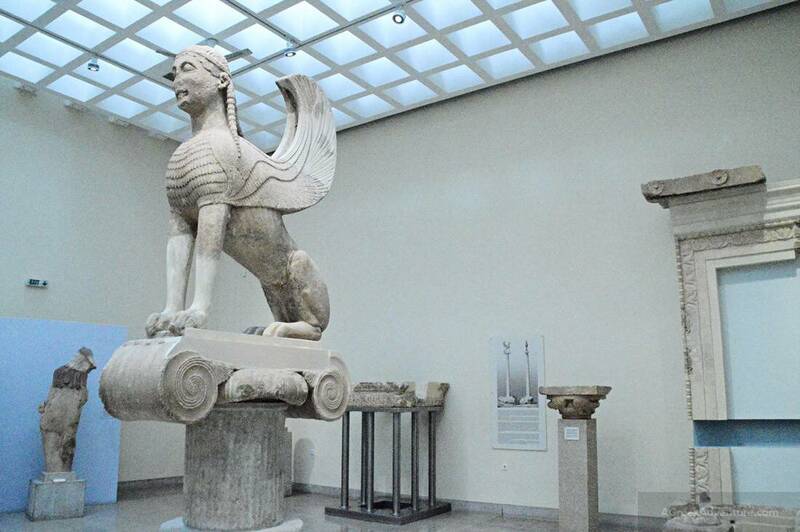 Since many years ago, there is an archaeological museum, next to the ancient site. Some spots are not permitted to enter, but if you find a way we promise to find a most serene and mystical environment. 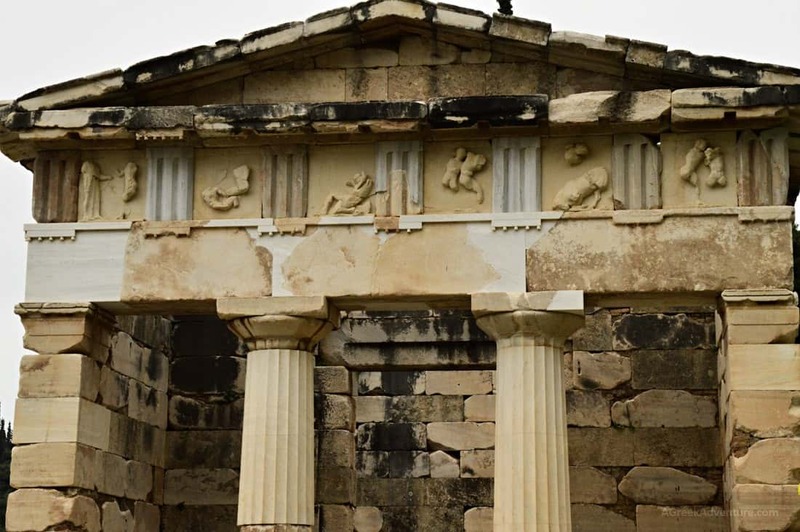 Also visit the Athena temple at the opposite side of the main ancient site. Some neglect to do so, since it cannot be found in the same place as the others, but you need to go. Delphi is also the place where Hercules and Apollo fought among each other for the tripod. Zeus stopped the fight, but Hercules received an oracle to be a slave for a year. Hermes sold Hercules to Omphale, Queen of Lydia, for whom Hercules performed women’s work for that whole year. Do go through the museum. 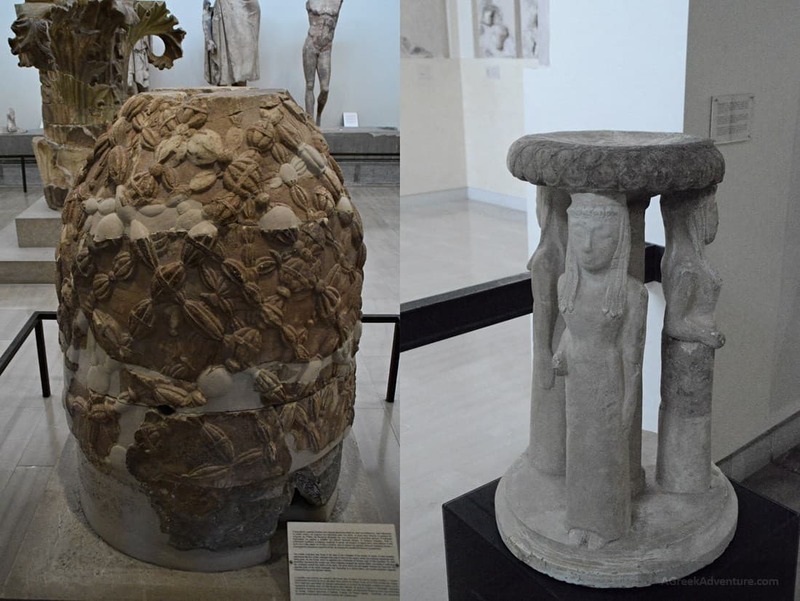 Some really famous sculptures and artifacts are hosted in that. It is very easy to be at Delphi. In under 2.5 hours you will be there from Athens, if you decide to drive a car. Leaving the highway, you will enjoy the Greek countryside driving to Delphi. Arahova is just 15 minutes from Delphi, while the seaside small cities of Itea, Galaxidi or Antikyra are in a 20 minutes driving distance. You can get from the mountain to the beach very fast. If you go to Antikyra, make sure to eat at any of the -two- fish taverns of this village (Dolphins and Valaouras). We ate at Dolphins. The highlight will be to enjoy your coffee or ice-cream in Saloon Cafe/Bar, right next to the sea and next to the beach. Highly recommended! View from the Saloon cafe. 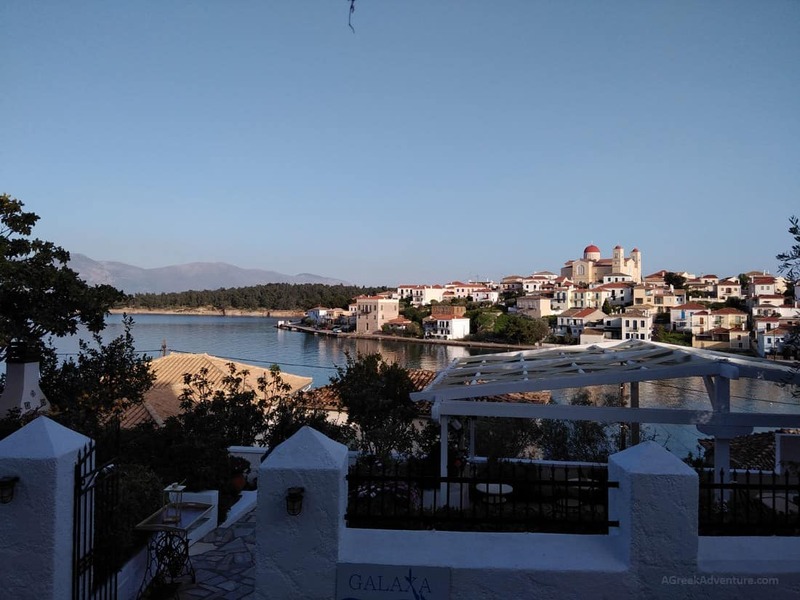 We had lunch and coffee in Antikyra, and decided to spent the remaining of the day and an overnight stay at the picturesque village of Galaxidi. 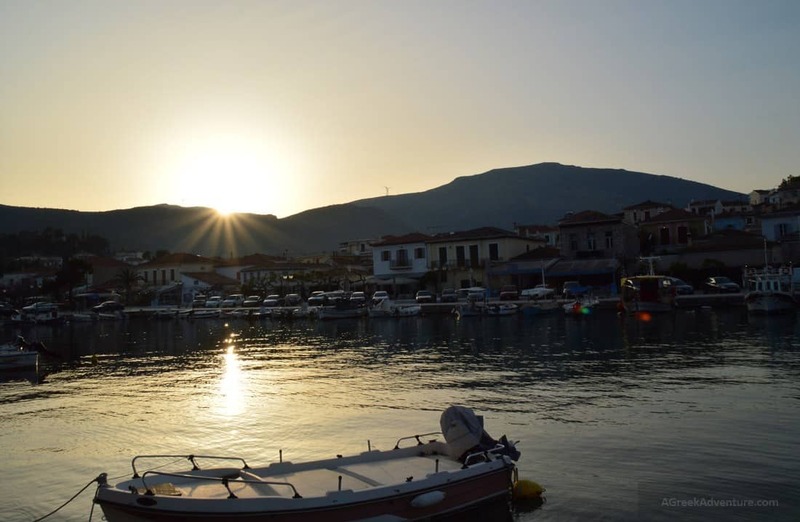 Galaxidi is famous for 3 things: The really picturesque environment, lots of options for great food close to Delphi and Arahova, plus being the famous location for the Greek Halloween festivities called “Alevromoutzouromata”. Galaxidi is both quite and vivid. Most of the accommodation options are in walking distance from the dockside, ensuring proximity to fun and peace at the same time. 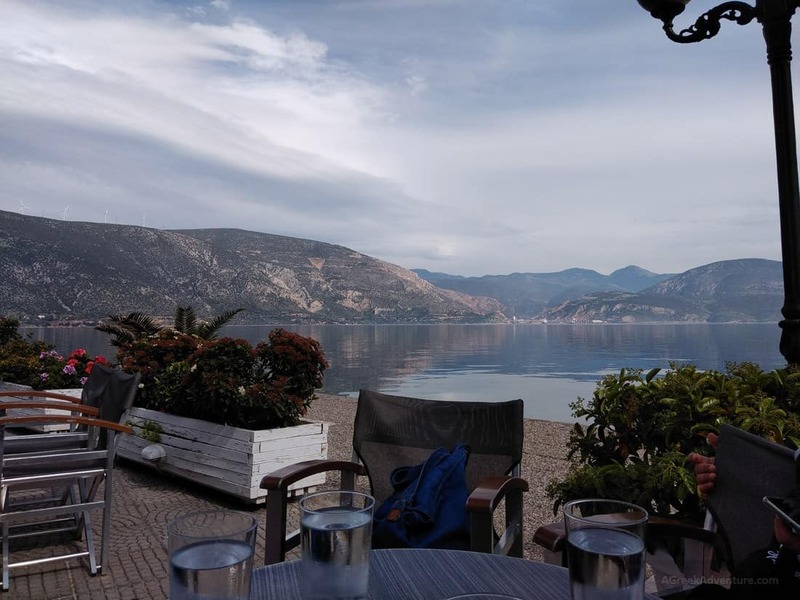 Here is the view from the backside of Galaxidi, where our hotel breakfast was served. It is also great for walks, but we wouldn’t say it has great beaches despite for it being next to the sea. 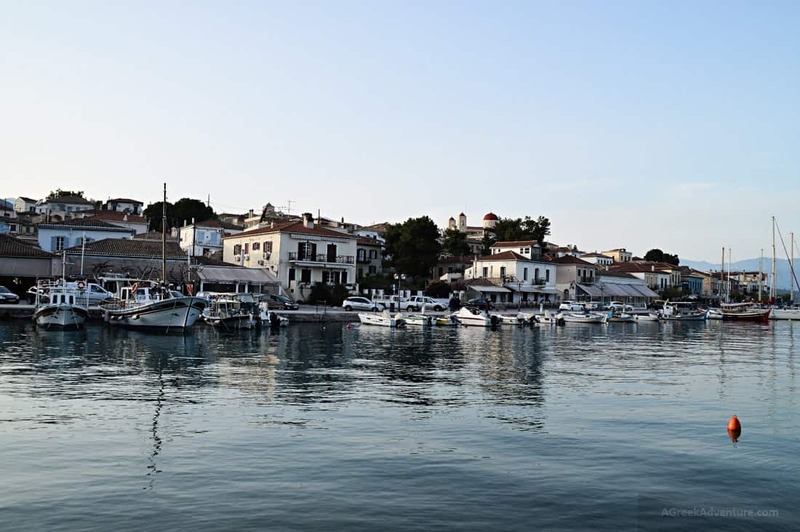 People go to Galaxidi simply because it is… nice to be there (plus the food). It is 50 minutes driving time from Nafpaktos. 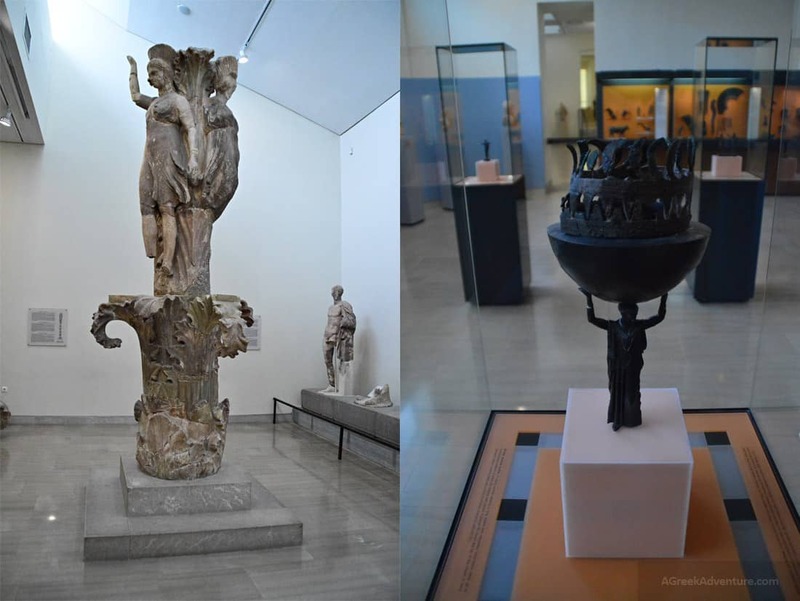 We hope you enjoyed our post for our Delphi Tour in Greece. 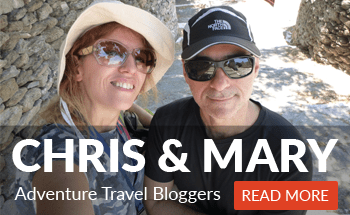 Visiting Delphi Greece and staying in Galaxidi is a great weekend option for many Greeks. Do give it a try and let us know how it was from your side.